"Could you survive?" Paramount has revealed the official 60-second Super Bowl TV spot for the thriller A Quiet Place, from director John Krasinski, who also stars in the movie. The film is about a family living quietly on a farm, keeping to themselves. Some kind of monsters have taken over the world but they only hunt by sound, so if you stay quiet they can't find you. This new spot doesn't show much more than the first teaser trailer, but I am SO into this, so much. Emily Blunt stars, along with Noah Jupe and Millicent Simmonds (who you may recognize as the fantastic deaf actress from Wonderstruck). This is a very cool TV spot with Krasinski being interviewed as well, but I wish it showed a bit more footage. Take a look below. You can still watch the teaser trailer for Krasinski's A Quiet Place here, to see different footage from this. A family lives an isolated existence in utter silence, for fear of an unknown threat that follows and attacks at any sound. 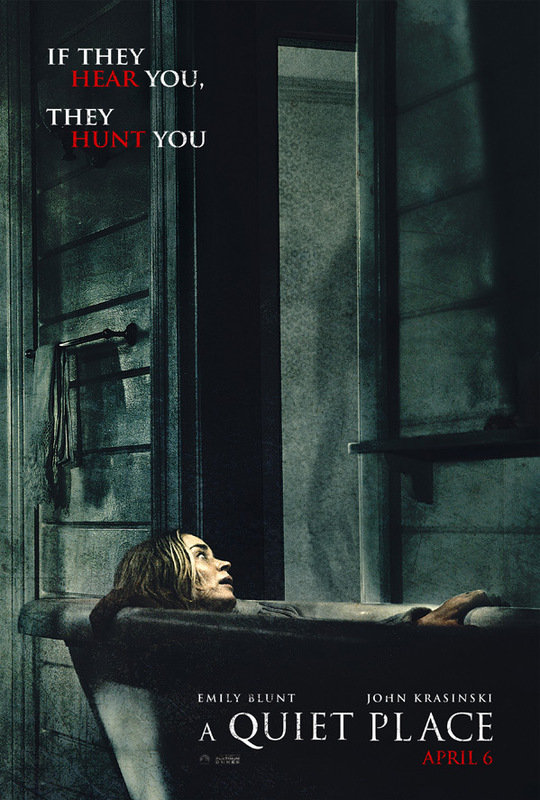 A Quiet Place is directed by American actor-turned-filmmaker John Krasinski, director of the films Brief Interviews with Hideous Men and The Hollars previously. This is his third feature film after two other. The screenplay is written by Scott Beck, John Krasinski, Bryan Woods. This was produced by Andrew Form & Bradley Fuller, along with Michael Bay for his horror production banner Platinum Dunes. Paramount Pictures will open John Krasinski's A Quiet Place in theaters everywhere starting on April 6th, 2018. It will first premiere at the SXSW Film Festival. How does that look? What do you think about this?